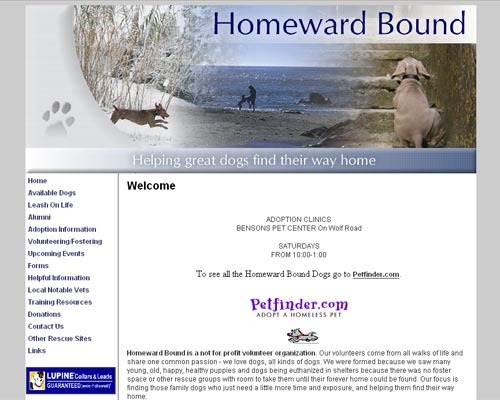 Homeward Bound is a not for profit volunteer organization. Our volunteers come from all walks of life and share one common passion - we love dogs, all kinds of dogs. We were formed because we saw many young, old, happy, healthy puppies and dogs being euthanized in shelters because there was no foster space or other rescue groups with room to take them until their forever home could be found. Our focus is finding those family dogs who just need a little more time and exposure, and helping them find their way home.